Chemical contaminants called PFAS, toxic to humans at minuscule doses, are the peak of the iceberg in threats to groundwater internationally. Thousands of chemicals are in commercial use in the United States, Canada and Australia without any knowledge of how they alter human bodies or ecosystems as a whole. These compounds, as well as other contaminants, have found their way into groundwater. In the US, about 43 percent of U.S. residents get their drinking water from groundwater. Per- and polyfluoroalkyl substances (PFAS) are a class of over 3,500 man-made chemicals that were developed after the second World War. Since then, PFAS have been used in a dazzling range of products: firefighting foam, non-stick skillets, water-repelling jackets, stain-resistant carpets, floor cleaners, waxes, paints, insect traps, and more. Perfluorinated compounds, a subgroup of PFAS, are extremely persistent in the environment. They have been called “forever chemicals” because the carbon-fluorine bond that holds the molecules together is the strongest chemical bond. Additionally, some PFAS compounds, particularly perfluoroalkyl acids (PFOA's), are both mobile and bio-cumulative. This means they move quickly in groundwater, as well as build up in organisms faster than they are excreted. In addition to industrial production facilities, contaminated sites include military bases, fire stations, landfills, hospitals, and schools. All of these large institutions use foams or waxes or cleaners that contain the chemicals. In the U.S. the Department of Defense counts more than 400 active or closed bases with a known or suspected release of PFAS. The military has spent more than $210 million on cleanup so far. In Michigan, one of the worst-affected states, an estimated 1.8 million people have PFAS in their municipal water supplies. The level of contamination ranges from 1,800 parts per trillion (which was found in the city of Parchment) down to about two parts per trillion (found in the Grand Rapids water system). PFAS contamination in Michigan originated from numerous sites, including canneries, waste dumps, air bases, airports, and landfills. The health risks of PFAS. The impact of PFAS on human health is still poorly understood. PFAS contamination has been linked to high cholesterol, testicular cancer, kidney cancer, ulcerative colitis, thyroid problems, developmental problems, and the potential for miscarriages. What is the US government doing to address PFAS contamination? In May 2016, the U.S. Environmental Protection Agency lowered its health advisory for two PFAS chemicals, PFOA and PFOS, to 70 parts per trillion in drinking water. The health advisory is not binding, and some public health researchers argue that it ought to be even lower. A handful of states, including Minnesota and Vermont, have issued health advisories at lower levels than the EPA, while New Jersey developed an enforceable drinking water standard for PFNA and PFOA. 1) Provide more funding to research the health implications of PFAS contaminants. 2) Push the EPA to set and regulate PFAS in drinking water. 3) Take accountability for PFAS use and contamination on federal properties. The EPA is preparing a PFAS Management Plan, which they expect to release by the end of 2018. The agency is also developing groundwater cleanup standards for PFAS. Who will clean up PFAS contamination? Amazingly, PFAS has not yet been designated as a hazardous substance by the EPA. Without this designation, the EPA has no authority to enforce cleanups or to fine the responsible parties. If a company has gone out of business or changed hands, a responsible party sometimes cannot be found. In that case, cleanup costs can be put on the taxpayer. What other contaminants are threatening U.S. groundwater? Coal ash – Also known as coal combustion residuals, or CCRs, coal ash is the byproduct of burning coal. Often stored in large pits near rivers or lakes, coal ash contains a variety of pollutants including arsenic, selenium, boron, and cadmium. These can be toxic to humans and aquatic life if released into groundwater or surface water. Leaking septic systems – Bacterial waste, as well as chemicals used in homes, can be released into groundwater through leaking septic systems. In Michigan, for instance, an estimated 130,000 septic systems leak. Agricultural practices – Chemicals and compounds used in agriculture, including nitrates and pesticides, are also contaminating groundwater. 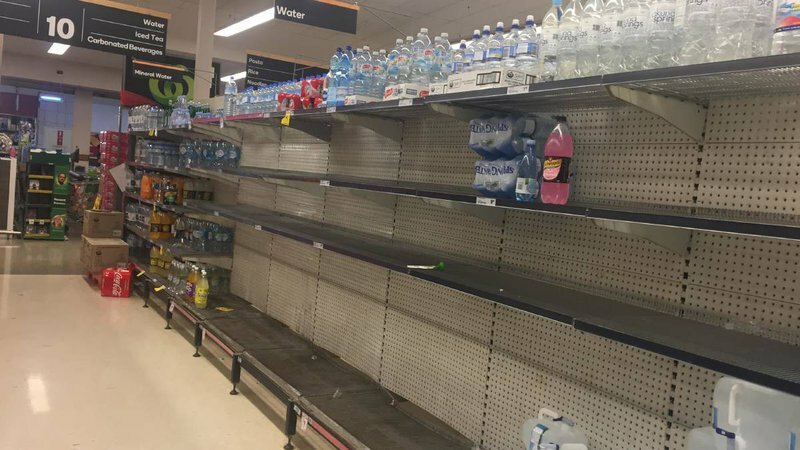 Katherine, NT: residents vote with their wallets on local PFOA contamination. The Australian Government said it was committed to supporting communities and responding effectively to PFAS contamination. In katherina, NT, high levels have been detected. This is just one of many identified contaminated sites. This commitment has included reducing exposure from contaminated drinking water, providing mental health and counselling services, funding an epidemiological study into potential health effects and providing access to free blood tests for PFAS on a voluntary basis. PFAS aren't going away – from even a cursory read of the above facts, that is obvious. As is often the case, government policy is hamstrung by a government's need to remain in power, and this issue appears way down the list under far more important things like the Wall, Mr Putin and telling people climate change isn't real. So don't expect help there. Luckily there is a simple answer. We've researched methods of removal/filtration of PFAs at the home level, and a simple carbon water filter will block them – within certain limits. The limits relate to the actual capacity of the carbon filter. The vast majority of carbon filters sols come without life-of-filter testing. This means they may remove PFAs on the first day of use, but from then on.. they are reduced in ability. It's the great unspoken secret of the water filter industry that vast numbers of cheap filter buyers are drinking water they mistakenly believe is removing toxins. A further complication is a social one: people's willingness to invest in a good filter is directly proportional to their understanding of the problem. Most people live in some form of denial about health risks and therefore they will (more often than not) allow the filter to still be used far past its expiry advice. We have seen people call up wondering why their filter has blocked up. The filter lasts for a year for a family of four.. and they continually used it for FIVE years. Obviously, the quality of the carbon is important. The better the carbon, the better and longer the protection. Our design imperative was to use the best carbon in the world, known as catalytic carbon, and to have the test results available for anyone showing its performance over the life of the filter. We have never seen any other filter manufacturer offer this assurance. To learn more about our system, go to one of our international consultants for a free talk.